Flying to Morocco from Canada can be quite convoluted and expensive. We were able to get a great sale through Air Canada on fares to Lisbon and go from there. TAP Portugal offers flights to Casablanca and Marrakech, so we decided to start in Casablanca and work our way in a circle, flying back to Lisbon from Casablanca 14 days later. Our flight arrived in Casablanca around 6pm. 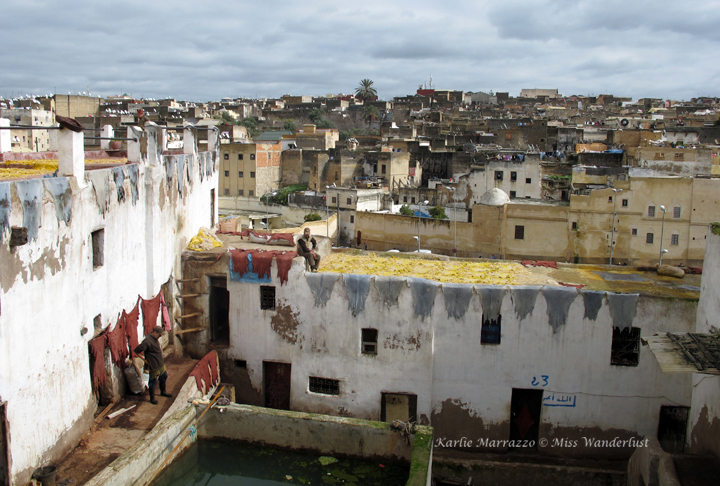 We knew we were going to be there twice and didn’t think it looked very interesting, so decided to spend the first night and part of the next day in the capital city, Rabat. To get to the main train station, Casa Voyageurs, you can either take a train from the train station at the airport (confusing, I know) or take a 45-minute, expensive taxi. We hadn’t purchased tickets to Rabat in advance and didn’t know if tickets would be available on such short notice, plus we had just flown all day, so we took the 300Dh taxi ride. Once we arrived at Casa Voyageurs, it was easy to get two tickets at the counter for the 7:45pm train. The first class compartment was quiet, the seats were plush and comfortable, and there weren’t many people on board. First class train tickets in Morocco are very affordable, so feel free to splurge. Time: 45 minutes in the taxi, 1-hour train ride. 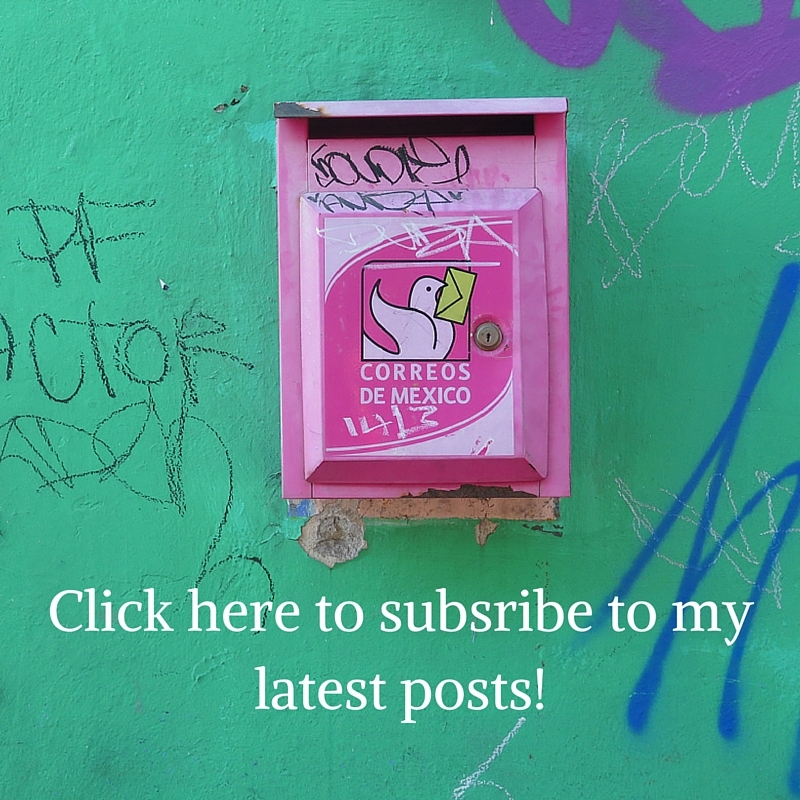 More information: Rabat highlights: My first day in Africa! There is an extensive bus network running throughout Morocco with routes offered by several different companies, the main ones being CTM and Supratours. We had zero luck trying to book tickets on their websites, so the nice people at each and every riad we stayed at helped us out by picking up the tickets for us. The basic bus station is a 5-minute taxi ride from the medina. There is a small concession in the lobby and a restaurant/snack shop with a washroom in the station. The bus was comfortable, but I got bored quickly after the sun went down as the reading light didn’t work and there were no TVs in the back of the seats. Cost: 85Dh/each. 5Dh per checked bag. Time: Approx. 4.5 hours. One bathroom break. 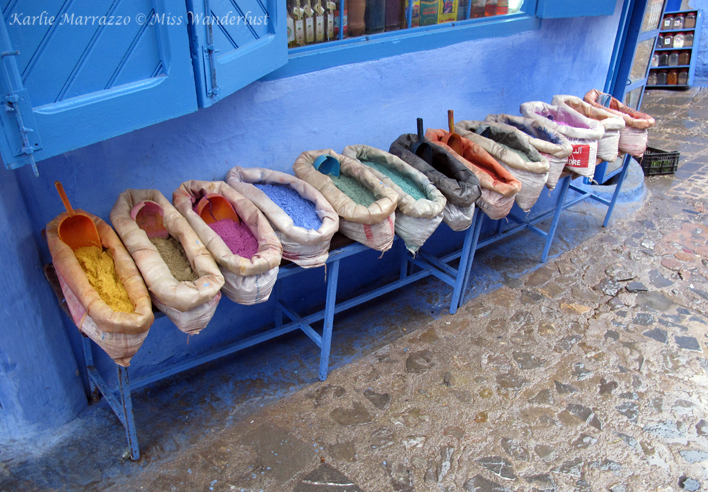 After spending two nights in the calm blue of Chefchaouen, we boarded another bus destined for the ancient city of Fes. Tickets in hand, we still arrived at the bus station one hour early. There were a handful of buses waiting but there was no organization or platform numbers, just a man walking back and forth, calling out destinations and sort of pointing passengers to the right bus. Be very aware so that you don’t end up on the wrong one! There is a washroom outside the station as well as a small store. Time: Approx. 4 hours. One bathroom break. Optional daytrip to Volubilis, Meknes, Moulay Idriss. All of the trains in Morocco are run by ONCF and can be a more comfortable option for traveling longer distances. The ONCF website is only available in French, but is easy to use to look up timetables and ticket prices. The journey takes about seven and a half hours, so we caught the early train at 6:50am so we would have some time that day to explore Marrakech. Bring your own toilet paper or Kleenex because even though there are washrooms on board, the ones I experienced usually didn’t have any paper. Optional day trip to Essaouira. Two night trip to Sahara Desert. A trip to North Africa just wouldn’t be the same without some time in the Sahara Desert. There are countless options for visiting and exploring the Sahara, from endless tour companies offering basic camping and hiking treks, to luxury desert experiences, to renting a 4×4 yourself (which I would not recommend unless you are an incredibly skilled driver), to taking the bus to the edge of the desert and hiring a guide from there. There are two areas of the Moroccan Sahara that tourists can visit – Erg Chigaga and Erg Chebbi. Erg Chebbi is by far the more popular choice amongst tourists who just have to have that snapshot of themselves in front of some majestic dunes, standing beside a camel. Erg Chebbi is only 1km from the town of Merzouga, which means that there are hotels and amenities available to those who don’t actually want to camp. Erg Chebbi is often referred to as the “Coca-Cola desert” because you can sit on the patio of your hotel sipping a sugary drink and gaze at the dunes. Erg Chigaga is much further from civilization, with the closest town, M’Hamid, 60km away. From there, the camps within the dunes are only accessible by a bone rattling 4×4 trip or a multi-day camel ride. These dunes are the largest and highest in Morocco. We chose Erg Chigaga, and booked a guide through Sahara Services. This included round-trip transportation from Marrakech, one night in M’Hamid, and one night in a camp amongst the dunes. Cost: 235EUR/pp. This includes driver and fuel, meals, one night hotel stay, one night camping. Book yourself into a nice riad, enjoy a hot shower, rinse sand out of every spot on your body, repeat. Take one last stroll through the medina and get a good nights’ rest in a comfortable bed. We were able to walk up to the counter and buy our tickets only a few days prior to departure. Our compartment was full so I wouldn’t suggest pushing your purchase until the last minute if you can help it. The first class cars are broken into compartments, not spacious but not cramped, with six seats each. Cost: 140Dh/each in first class. Karlie, you are in the wrong business. 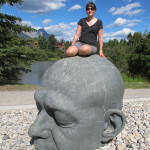 You need to be in the travel business, or writing a book on travel, or helping people make the most of their trips! 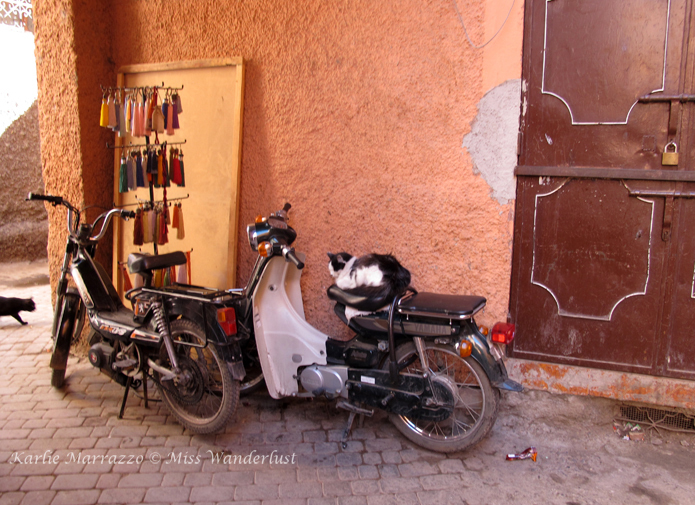 I really enjoyed reading your 14 day Morocco itinerary & love your desert photos! This is amazing! I might just have to copy this itinerary! I recently returned from a week in Egypt (Amazing btw!) and really enjoyed the culture. That would be awesome! 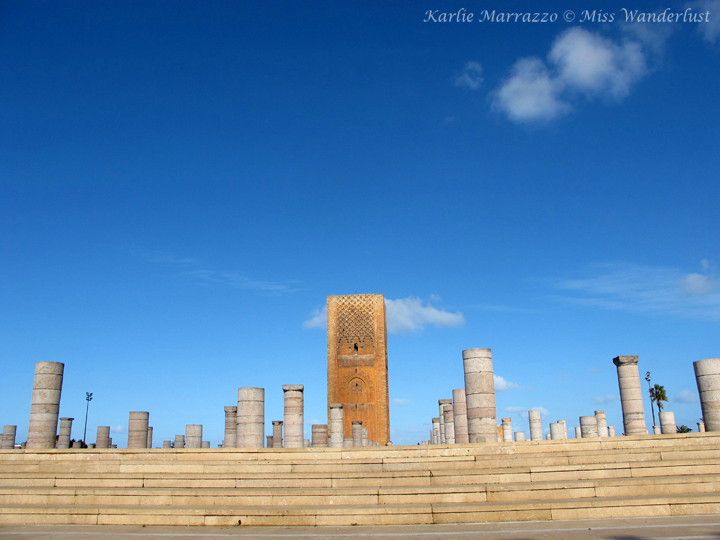 Do you already have a trip to Morocco planned? Let me know if you have any more questions. There are also another dunes called Erg Zniqui there are farther away from Merzogua and really there is nobody as of now except one precious camp. It is great way to escape to the desert scenery and feel the solitude that the desert has to offer. Even in Erg Chigaga that is much more difficult to get to and you are really in wilderness, still here you find one camp next to the other. Best way to explore Sahara as it is go to Erg Zniqui! This post was so helpful! I’ll be in Morocco in just two weeks and happen to be doing a very similar route. This has given me some tips I wasn’t aware of. That’s awesome to hear! Glad to help. Have an amazing trip! 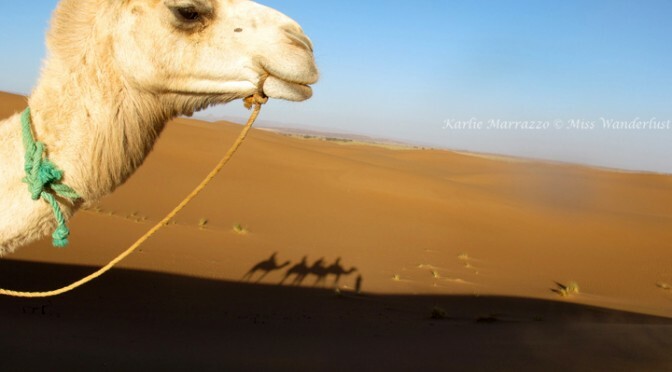 Karlie, I was lucky to have found your post when searching for itinerary ideas for our upcoming trip to Morocco. I have been lost in it all morning reading every link except the two I cannot get to work: “Taxis in Morocco: How to Not Get Ripped Off” (would love to read that one!) and “Erg Chigaga a moving Moroccan adventure”. Both of these are giving me an error message when I try to open them. I sure felt for you with those very difficult times you faced! And you made me laugh with the descriptions of the nicer people you met once you switched compartments on the train. I have a lot of questions but will limit it to just a few for now. I am very curious to know if you were glad you chose Erg Chigaga instead of Erg Chebbi? It does not sound like the trip out there with Sahara Services was what you hoped for and I wonder if you would even recommend them? Did you get to hear if the Germans did OK on the bus from Marrakech to M’Hamid? 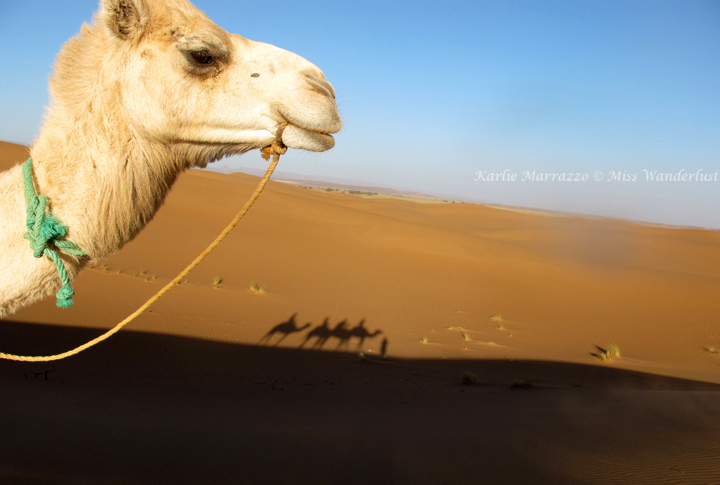 Perhaps you met other travelers who had gone to Erg Chebbi and could compare if the longer trip you took was worth it? This is a decision I must make to finalize our itinerary. 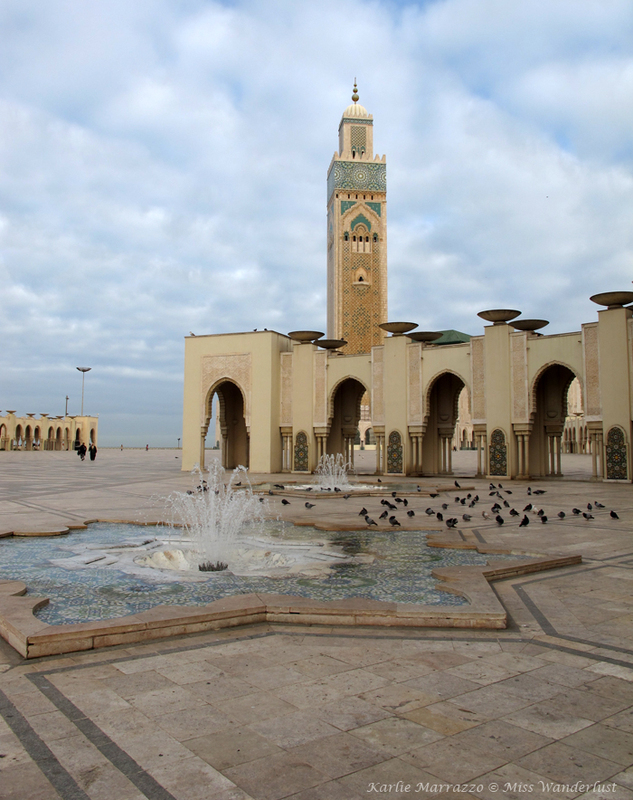 We land quite early in the morning in Casablanca and I thought we could visit the Hassan II Mosque on the way to Chefchaouen but it seems like the taxi options might make this difficult? Also, were you quite happy with all the accommodations you chose?